Let our Family Law attorneys provide you with the experience that only decades of practice can provide. At Westchester Matrimonial Law, our lawyers are exclusively devoted to Matrimonial and Family Law. This niche specific commitment to Matrimonial and Family Law will be exceptionally beneficial to the outcome of your child support case. 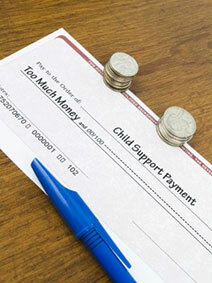 There are many attributing factors that go into a child support settlement. Therefore, it is imperative to seek proper legal counsel that is dedicated to you. If you fail to seek proper legal representation you risk putting the best interests of your child, and your financial stability in great danger. Often times, people fail to understand the significance of child support. Child support is mandated by New York State Law and must be included in any divorce settlement or decree. Contrary to what some people believe, it is not intended to punish the person required to pay it or reward the custodial parent who receives it. It is for the benefit of a child, and the obligation to pay child support cannot be discharged through bankruptcy or unemployment, or voluntarily waived by the custodial parent. As a parent you understand that you have an obligation to support your child or children. Investigating your options does NOT mean that you are trying to avoid your responsibilities, but simply trying to understand them. By contacting Westchester Matrimonial Law you will have access to a telephone consultation regarding your child support issue. Child support can be exceptionally overwhelming, but it demands your attention for agreements can be made that may jeopardize your financial future, and make your life exceptionally difficult. Determining a child support agreement can be very complex. More than just your income is assessed when a court determines how much child support you will have to pay. All of your assets are taken into account to best determine how much child support you may have to pay. Assets that are commonly investigated include: Annuity payments, pensions and retirement benefits, social security benefits, and veteran benefits, just to name a few. For a more in depth look at child support please visit our Resource Center to gain an insight into common occurrences regarding child support issues. The best way to understand and protect your interests is by contacting our offices and allowing us to give you the foundation of support and knowledge to best serve you. Our Family Law attorneys exclusively devote their time to Matrimonial Law. This creates an excess of knowledge and skill in the field of Family and Matrimonial Law. Also, this wealth of experience that our attorney’s posses allow for you to trust that whatever child support question or issue you may have, we have the answer.